Over the weekend, the metal guys of Megadeth teased something major arriving this week, sending out a short tweet and Facebook message stating, “Monday… megadeth.com,” paired with an eerie gray-scale image. That post was followed by another one hinting “Peace Sells,” referring to the band’s 1986 album, “Peace Sells… but Who’s Buying?” That had fans guessing all weekend just want the band had up ahead, everything from a new tour to new album. As it turns out, Megadeth was teasing their 35th anniversary plans, which they say will include a year-long celebration of “special releases, exclusive merch items, and one-of-a-kind events and opportunities for fans worldwide.” They also say that in “Megadeth’s webstore, all ‘Dystopica’ items are specially priced for two weeks,” beginning this week. 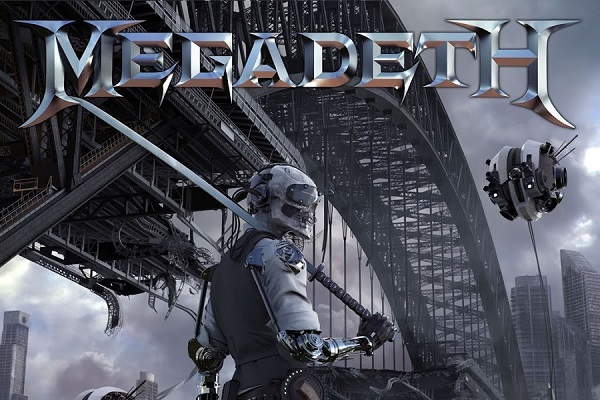 This week also marks the two-year anniversary of Megadeth’s latest studio album “Dystopia.” That album’s title track earned the group its first Grammy win for Best Metal Performance at the 59th Grammy Awards. David Ellefson of Megadeth has kept busy with a bevy of other projects, including heading up his own coffee company, Ellefson Coffee Co. His coffee blends are available online, and Ellefson Coffee Co. has also opened up a brick-and-mortar shop in Jackson, Minnesota.